We offer 20 indoor/outdoor kennels. The indoor kennels are fully isolated and feature radiant floor heating to keep your companion warm on cold winter days. Air conditioning keeps your pet comfortable during the dog days of summer. Dogs will also have plenty of exercise on the Boberosa's 50 acres of land. Contact us for reservations! In addition to our training services we offer general Boarding Services and Grooming. While you are away we can watch your family companion or hunting partner. All sizes of dogs are allowed. To get a reservation setup call us at (260) 223-5454 or email us to request a call back. Our kennel offers 20 indoor/outdoor kennels manufactured by the Mason Company. 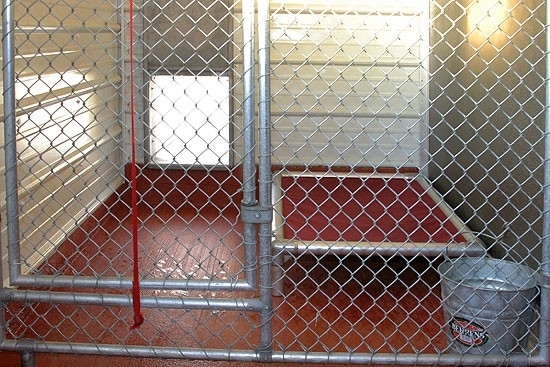 The indoor kennels are fully isolated to prevent any cross contamination. The kennel floors are heated to keep the chill off of your companion’s paws. For the summer months the kennel is fully air conditioned. The living room like lobby area is a place where your pet can curl up on the couch while staying with us. We offer daily supervised exercise as an added bonus. We are located on 50 Acres for all of our training needs. Our fields are planted in switch grass and we are adjacent to the Elkhart River for our water training needs. We are a registered bird dog training grounds with the state of Indiana allowing us to use game birds year round.